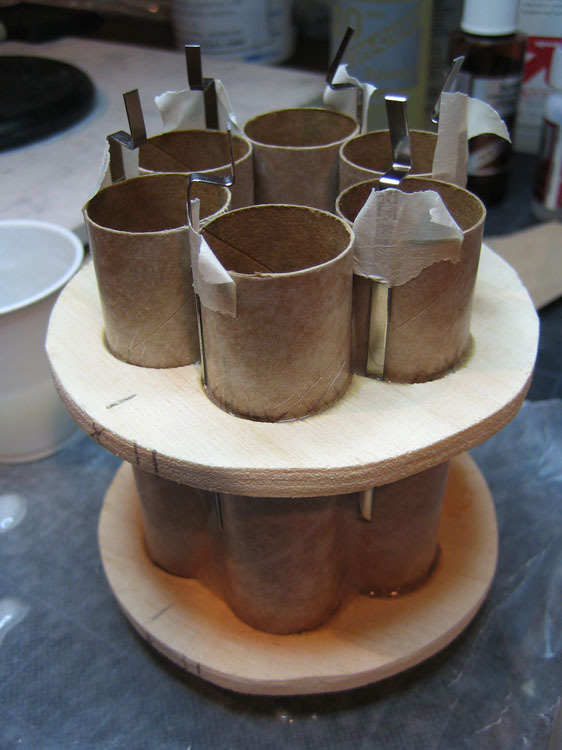 Having settled on a six-engine cluster configuration I began building the engine core. I was also planning on the fins being mounted “through-the-wall” and directly into the core itself. This created a nice little puzzle for planning what could be built & glued first. I started with the core “short”–that is, just past the length of the engines themselves–so I could work from both sides mounting higher power engine blocks. Later I would mount the ejection charge extensions and fins before mounting the completed core into the main body. 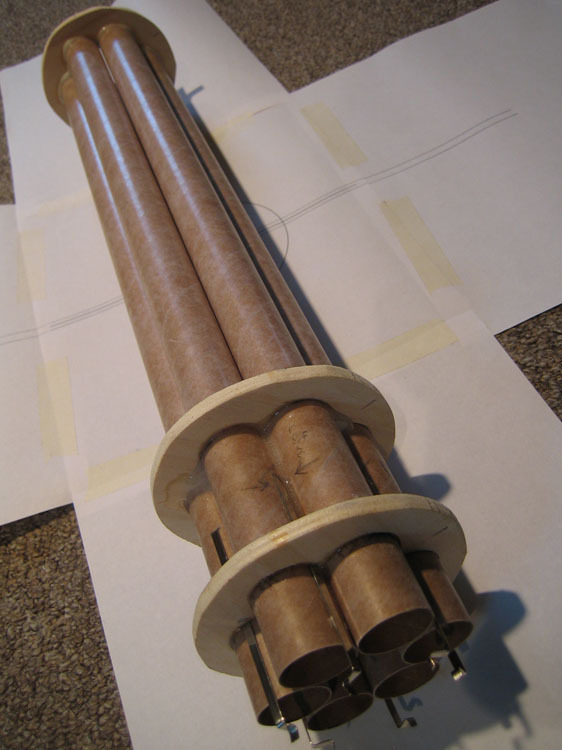 The inner seventh engine tube is just a space-holder to keep the outer six in place while the epoxy cures–then it can be removed. 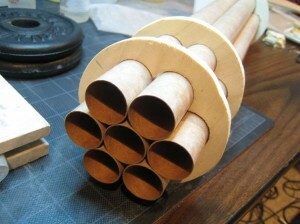 After cutting some 1/4 five-ply centering rings and dry-fitting everything I epoxied the core together. I used expended D-Engine slices as heavy duty engine blocks in addition to engine hooks to hold the engines locked in during ejection. Then a second pass of epoxy fillets thickened with Cabosil to keep it from running. After the fins are finished and epoxied to the engine core I will add heavy fiberglass and epoxy to strengthen the whole core mount. Here’s the completed motor mounts awaiting fiberglassing for added strength when the fins are mounted to it. Can’t wait to see this puppy loaded with six E30s!